Samuel Hazelwood, age 77 of Danville passed away Thursday, January 17, 2019 in Danville, VA. He was born June 22, 1941 in Danville, VA to the late Samuel Elmer Hazelwood and the late Sally Trammel Hazelwood. Samuel was married to the late Empress Green Hazelwood. He proudly served his country as a member of the US Navy. 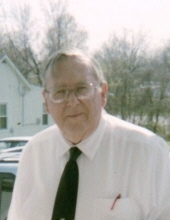 Mr. Hazelwood was a member of Third Avenue congregational Church and later attended Dan River Church. Mr. Hazelwood is survived by two brothers, Ronald W. Hazelwood and Roy Hazelwood both of Danville, VA. In addition to his parents and wife Mr. Hazelwood was predeceased by a sister, Patsy Hazelwood Crawford. The family will receive friends 12:30 p.m. till 1:30 p.m., Wednesday, January 23, 2019 at Norris Funeral Services, Inc., Westend Chapel, 511 Church Ave., Danville, VA 24541 prior to the memorial service. A memorial service will be held 2:00 p.m., Wednesday, January 23, 2019 at Norris Funeral Services, Inc., Westend Chapel with the Rev. Walter Yancey officiating. Norris Funeral Services, Inc. and Crematory, West End Chapel, 511 Church Ave. Danville is serving the Hazelwood family. Online condolences may be made at www.norrisfuneral.com. To send flowers or a remembrance gift to the family of Samuel Hazelwood, please visit our Tribute Store. "Email Address" would like to share the life celebration of Samuel Hazelwood. Click on the "link" to go to share a favorite memory or leave a condolence message for the family.